Living in California comes at a price. Taxes are high, home costs are high, and the state’s liberal politics can rub some people the wrong way. As the toll of living in the Golden State continues to price some out of the market, some Californians are packing up for more affordable places. One destination that’s seeing an influx of transplants from the West Coast is Boise, Idaho. The rural state is the fastest growing in the nation, and its capital city was deemed the fastest growing metro area by Forbes. While California dollars can go a lot further in Idaho, the surge of people packing up from Los Angeles and San Francisco for the so-called "Gem State" is causing a bit of friction with the locals. 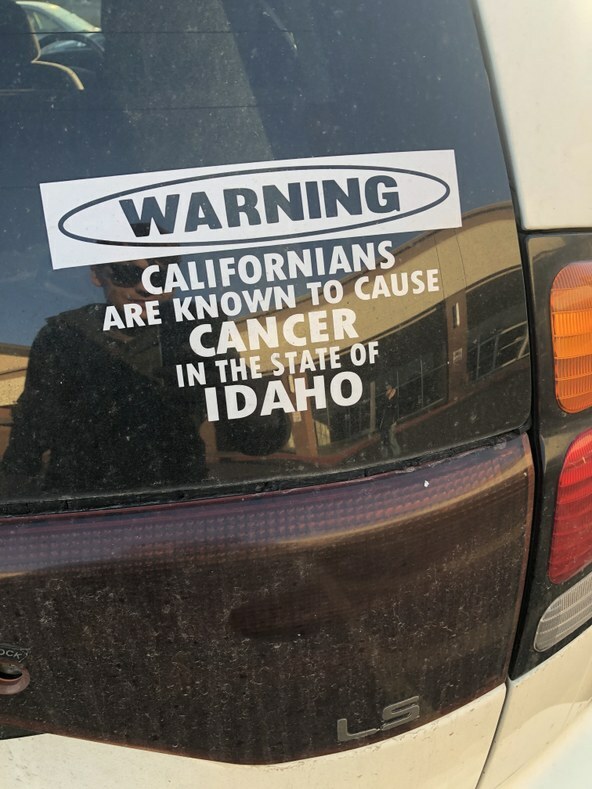 Californians in Idaho have a reputation. Ask any local and they can trot out a list of grievances real quick. 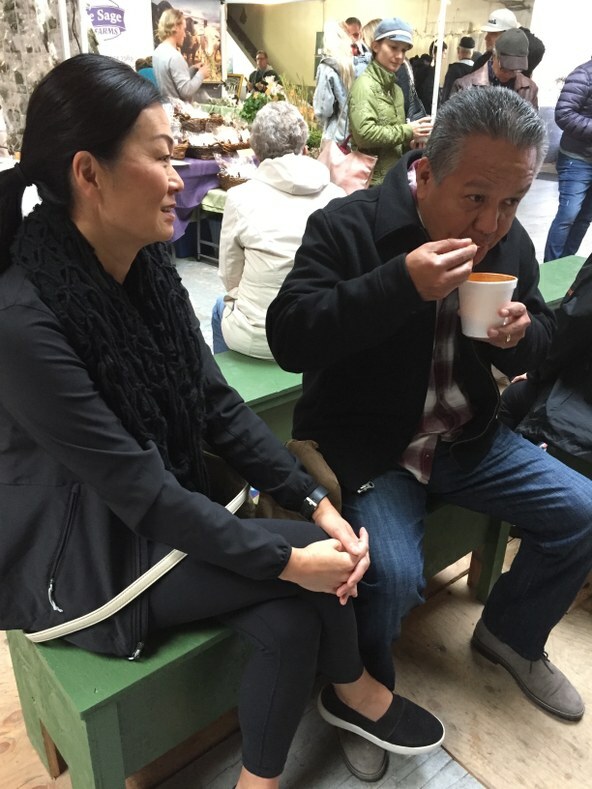 On a Saturday morning at the Boise Farmer’s Market, the question “What’s the Idaho perception of Californians?” drew similar responses from several Idaho natives. The Boise Farmers Market is a downtown Saturday fixture. 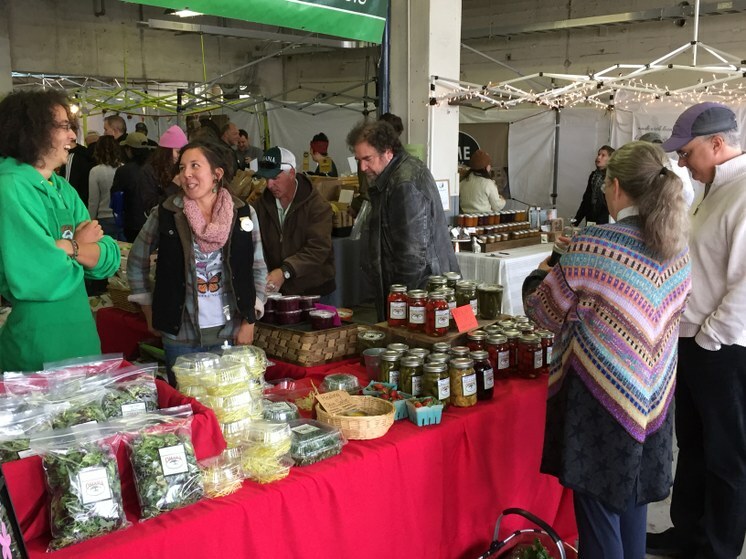 Fresh produce, an array of jams and preserves, cuts of lamb, and elk jerky are all on offer. The weekly event is a popular destination for Boise visitors and residents alike. Lifetime Boise resident Erika Knipe, who was browsing the mix of farm fresh goods with her husband, rattled off the issues Californians present with ease. “They’re driving up housing costs, they’re bringing liberal values to Idaho, taking over our farmlands to build developments,” says Knipe. 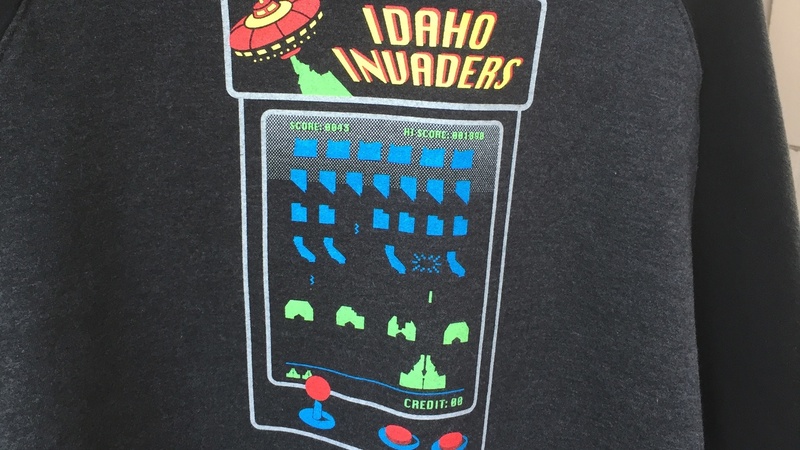 A cottage industry of pro-Idaho and Boise merchandise exists. 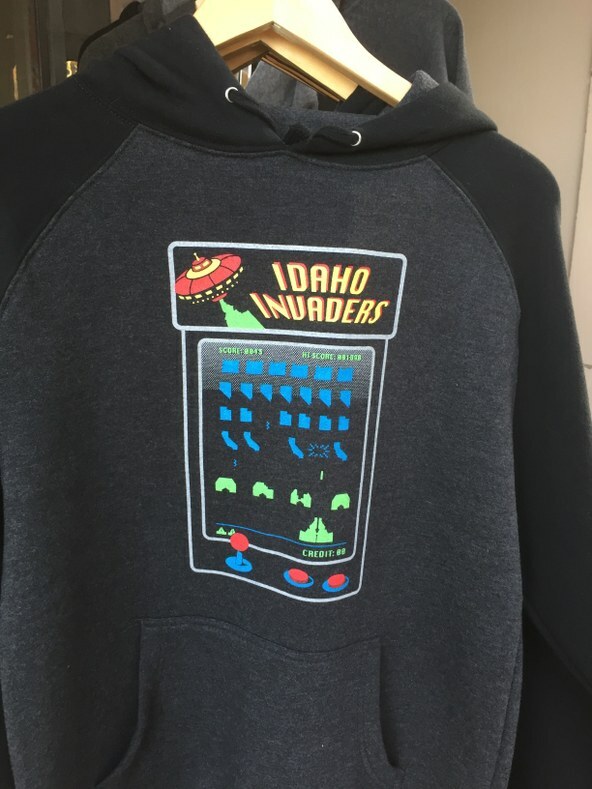 This sweatshirt, based on a classic 1980s video game, depicts California and three of Idaho’s neighbors: Utah, Nevada, and Washington as an invading force. She and her husband don’t necessarily agree with the anti-California sentiment, but those complaints – along with a near universal belief that Californians apparently have brought traffic with them – are the consistent beefs. Although a lot of Idahoans don’t like the influx of Californians, some welcome them and hope the sensibilities they bring can temper the extremely conservative politics of the ruby red state. Some people, like the driver of this SUV, also realize that not everybody moving to Idaho is from California. When it comes to housing costs, the trade group Boise Regional Realtors found median home prices shot up more than 17 percent just since last summer in Ada County, where Boise is situated. This past summer, a new house in the Boise area was going for around $362,000. In LA County at the same time, the average home cost 70 percent more. 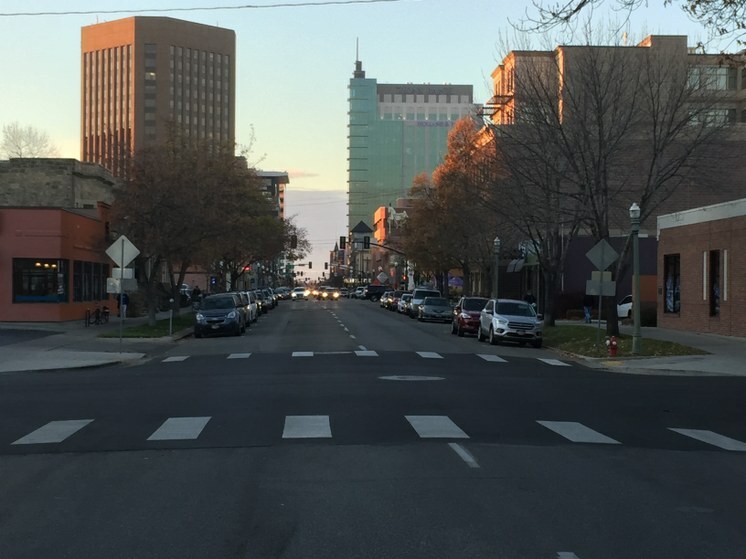 According to Forbes, the city of Boise is the fastest growing metro area in the nation. With a steadily rising population, the city is undergoing rapid growth and facing the challenges of balancing urbanization with a proud rural heritage. The CEO of Boise Regional Realtors, Breanna Vanstrom, is reluctant to blame Californians for rising housing costs. Slow construction and people staying put aside, the popular perception remains that well-heeled Californians are at the root of the problem. 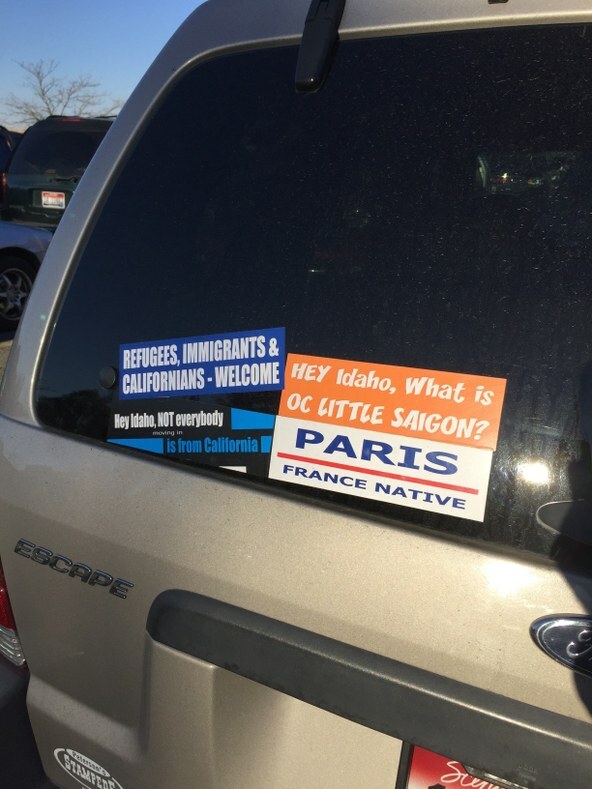 Bumper stickers specifically addressing the tidal wave of Californians washing over Idaho range from heavy handed rebukes to messages of welcome. The other widely held myth about Californians is that they’re bringing the progressive politics of the so-called “leader of the resistance” to a state where 59 percent of voters back Donald Trump in the 2016 election. That’s not the case, according to Boise State University political science professor Jeffrey Lyons. Using data from the institution’s School of Public Service, he’s specifically looked at the impact Golden State transplants have on Idaho politics. His findings will probably come as a surprise to both Californians and Idahoans. Results from a recent survey Lyons carried out focusing on just the Boise area showed only a third of the Californians moving in identified as Democrats. That means a majority of Golden State expats are tinting Idaho a deeper crimson. Still, locals like Lyons advise trading in a California plate for one that says “Famous Potatoes” as soon as you get here. Jennifer and Randy Rodriguez are from Mission Viejo in Orange County and came to Idaho to visit their son at Boise State. While the couple are smitten with the small town charm of Boise and are aware of how far their money could go in Idaho, the pair say they’re decided Californians and wouldn’t leave. One in three of those moving to the area around Boise are from California. Idaho might be less than thrilled, but there’s no denying it’s struck gold – or at least the Golden State.